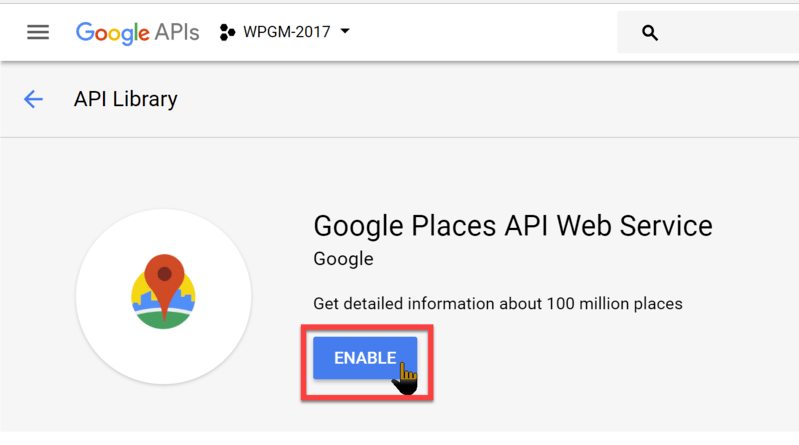 Click Enable on the Google Maps Places API Web Service window. This article covered enabling autocomplete for Google Maps in WP Google Maps. This article is based on WP Google Maps v6.4.05. If you need further assistance or are having other issues with the plugins, feel free to visit our Support Desk.